The police has stated in the charge sheet that a CCTV camera was installed on the wall right outside the trial room. Panaji: The Goa Police Crime branch has filed a charge sheet against four employees of the garment retail chain Fabindia's Candolim store in a 2015 snooping case filed after Union Minister Smriti Irani complained against it. The charge sheet was filed last week before the court of Judicial Magistrate First Class, Mapusa against the four accused--Paresh Bhagat, Prashant Naik, Karim Lakhani and Raju Payancha. 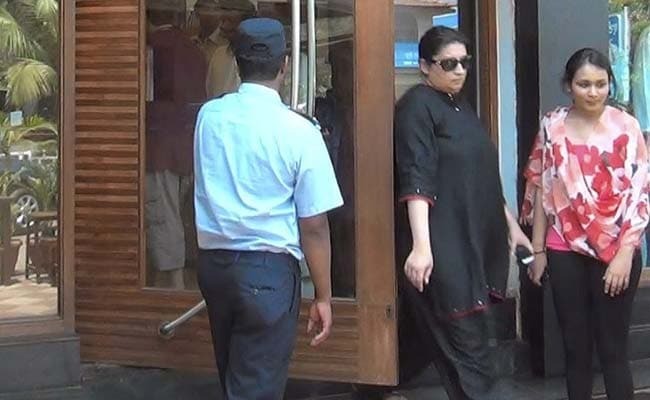 Ms Irani, then Human Resource Development minister, had in April 2015 alleged that a hidden camera was installed at the Fabindia store in north Goa's Candolim, nearly 9-km from Panaji, to snoop on the customers in the trial room. Fabindia had initially denied that it had placed hidden cameras in any of its stores, including the Candolim outlet which Ms Irani visited. The police has stated in the charge sheet that a CCTV camera was installed on the wall right outside the trial room and pointed towards the cubicle through a feet high ventilation gap on its side. The arrests were made on the basis of a complaint filed by a Goa BJP legislator. The four persons were charged under IPC sections 354 (outraging modesty), 354-C (voyeurism), 509 (intrusion of privacy) and 66E of the Information Technology Act (capturing, publishing image of private area of any person without his/her consent).